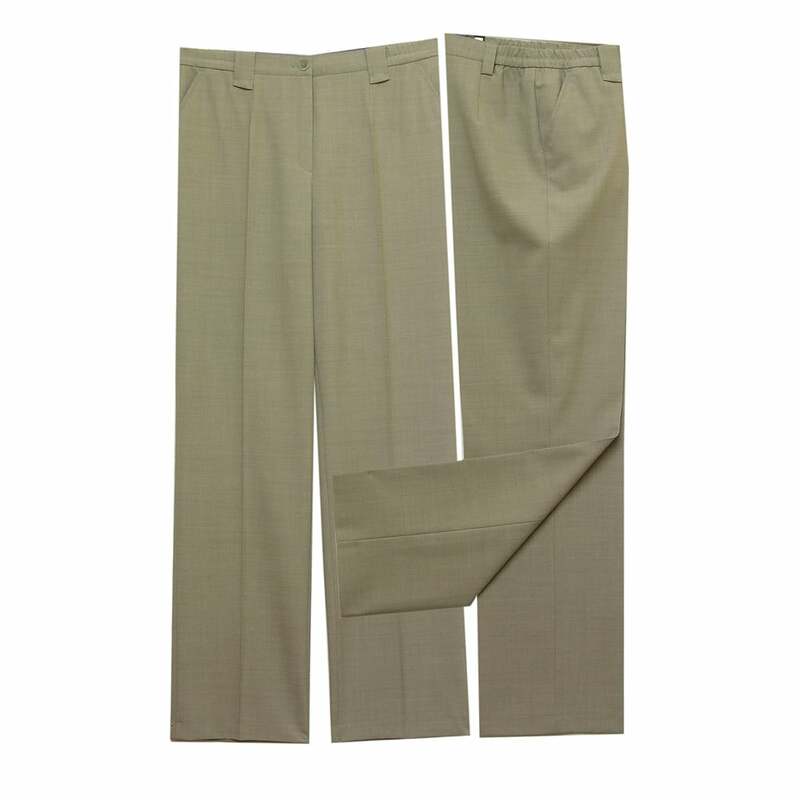 Trousers, straight leg, regular length, comfort fit, two pockets, front button and zip closure, waist band, with belt loops and elastic panels. Polyester and wool mix fabric. Available in light taupe, silver grey or beige. 53% polyester 43% new wool 4% elastane.